Stephen Berry is the founder and a Director of Intelligence Analysis Training. Steve served as an officer with West Yorkshire Police from 1976 until his retirement in September 2005. Being a successful and resourceful detective, specialising in intelligence gathering techniques Steve joined Crime Training at Bishopgarth in 2002, here he was resonsibe for the design and delivery of intelligence related courses, Steve is a fully qualified Police trainer. Steve continued to deliver training with West Yorkshire Police, as a member of Crime Training Staff at Bishopgarth, from 2006 until 2012 when he finally left to commit full time to Intelligence Analysis Training Limited, he still develops and delivers Intelligence Analysis training to the police service, both nationally and internationally. From 1996, Steve’s work primarily involved the investigation of Murder, Robbery, Trafficking and Supply of Controlled Drugs, Extortion and Kidnapping. His role as part of investigation teams has been the collection, collation, analysis and evidencing of telephone data and he is regarded as an expert in this field. Steve’s evidence gathering and presentation skills resulted in identifying suspects, lines of enquiry and also elimination criteria, which were pivotal in achieving successful convictions in cases of murder, extortion and drugs trafficking. Since 2003 Steve has delivered various analytical courses in Romania, Lithuania, Libya and Bulgaria on behalf of The United Nations Drug Control Programme (UNDCP) and Euro customs. He has also delivered analytical training in Bahrain and to Swedish Customs, Intelligence Analysis and Xanalys to The National Rwandan Police on behalf of Belgium, Intelligence Development and Analysis training to The Anti Corruption Commission in Kenya and performed a training needs analysis on behalf of the UNDCP and ANGA in Libya. During his Police service, Steve received a number of Commendations from the Chief Constable and Criminal Crown Court and also received Certificates of Merit for professionalism, dedication and diligence whilst working as a Detective engaged on major enquiries. In addition Steve provided inputs on Initial CID, Initial Management of Serious Crime, Drugs Investigation, Informant Handling and Senior Investigating Officer courses. Steve has also delivered training workshops to UK Government agencies and has been part of the review of the Serious Sexual Offences Intelligence Unit of a UK major police force. He has also contributed to the development of an Intelligence Analysis course for the National Police Improvement Agency participating in a series of workshops, and writing material for inclusion in the course. 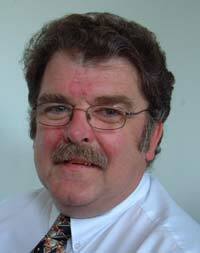 As previously stated, Steve is a fully qualified UK Police Trainer; he is an authorised and licensed Anacapa Trainer. He is also a member of the International Association of Law Enforcement Intelligence Analysts (IALEIA), the International Association of Crime Analysts (IACA), Association of Crime and Intelligence Analysts (ACIA) and full associate members of IAIP (The International Academy for Investigative Psychology. Steve is also trained as both H.O.L.M.E.S 2 Disclosure Officer and H.O.L.M.E.S 2 Exhibit Officer and he is an authorised Xanalys (Link Explorer) trainer. 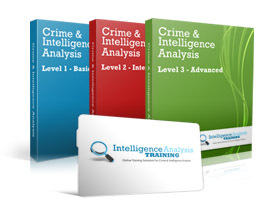 Steve continues to design and deliver Intelligence and Analysis Training for the police service and private industry.